Russell Lee photograph of potato pickers being paid in Spiro taken for the FSA. 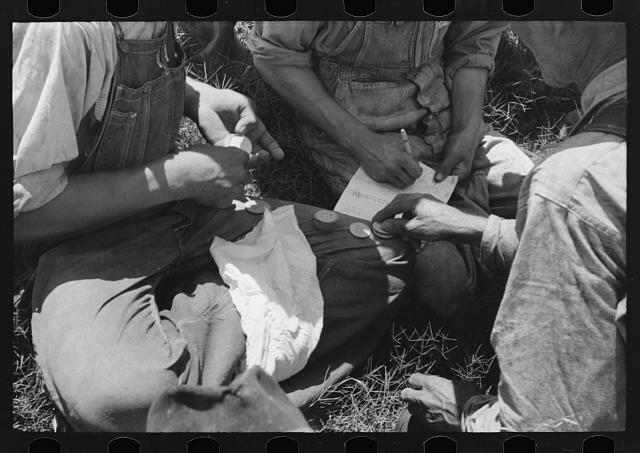 Lee, Russell, “Turning in the checks received for picking up potatoes at pay office near Spiro, Oklahoma. Pickers received three cents per bushel,” Making Modern America, accessed April 26, 2019, http://newdeal.oucreate.com/items/show/1520.